Screw the wildcard and forget the NL Central; the Cincinnati Reds (29-20) are currently the best team in the National League after Friday's 15-6 Astro-pounding. Ohhhh yeah. The Reds ace in the hole, Edinson Volquez, threw sixty pitches at Great American Ballpark on Friday. 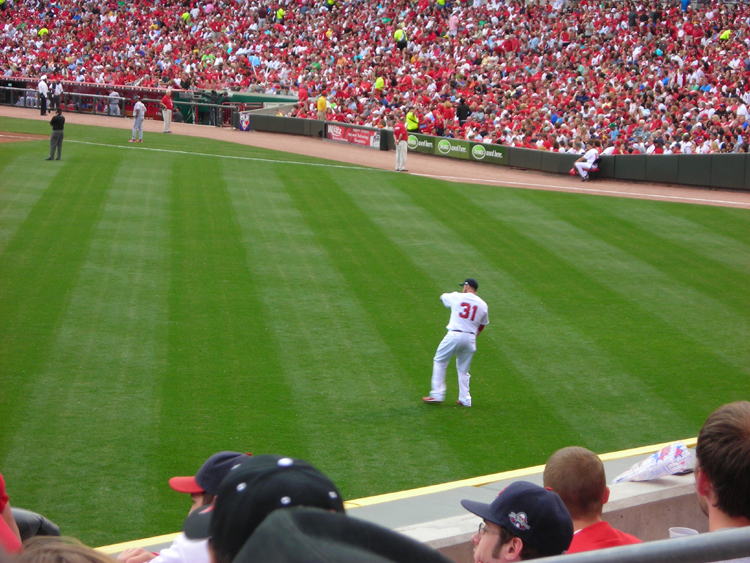 Volquez underwent "Tommy John" surgery on August 3, 2009. Beginning next week, Volquez will pitch in extended spring training at the club's complex in Goodyear, Arizona. Volquez will then continue on a minor league rehab assignment until his 50-day suspension for using performance-enhancing drugs expires on June 14. 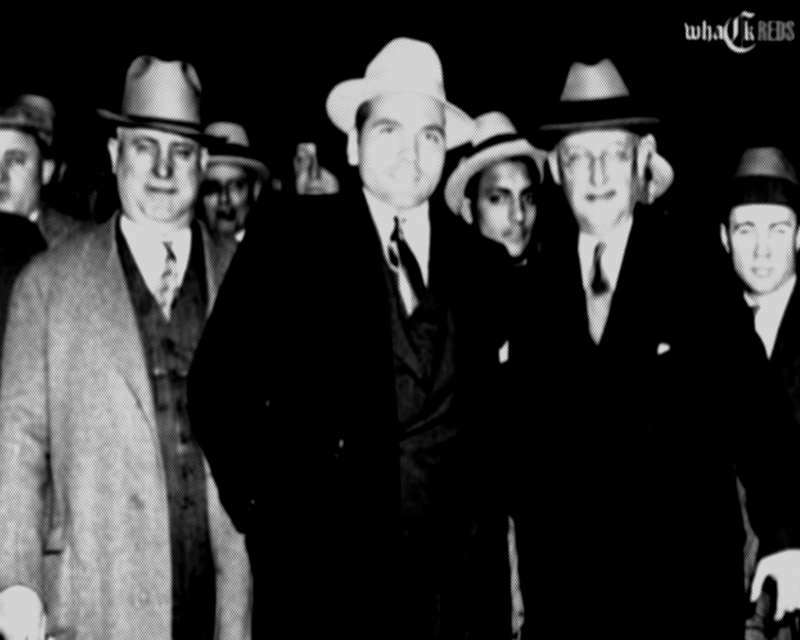 "He looked great," Walt Jocketty said. 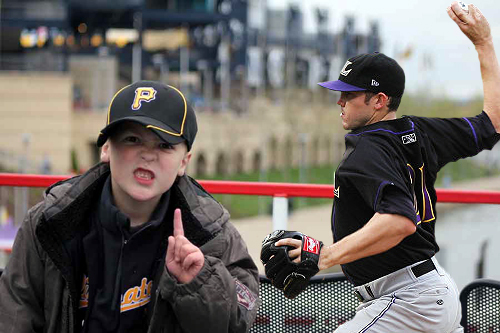 "He threw all his pitches. He really looked good." Aaron Harang (3-5, 5.98) will face Brian Moehler (0-1, 4.42) and the Astros at 7:10 pm on Saturday. *Update: Ryan Hanigan broke his thumb on Friday and has been placed on the disabled list. Corky Miller has been called up from AAA Louisville. Joey Votto will miss his fourth straight start on Saturday with a stiff neck. "I JUST GOT ONE LITTLE BASE HIT." Peter Edward Rose Broke Ty Cobb's all-time hit record on September 11, 1985. The very next day he appeared on Donahue in Cincinnati. 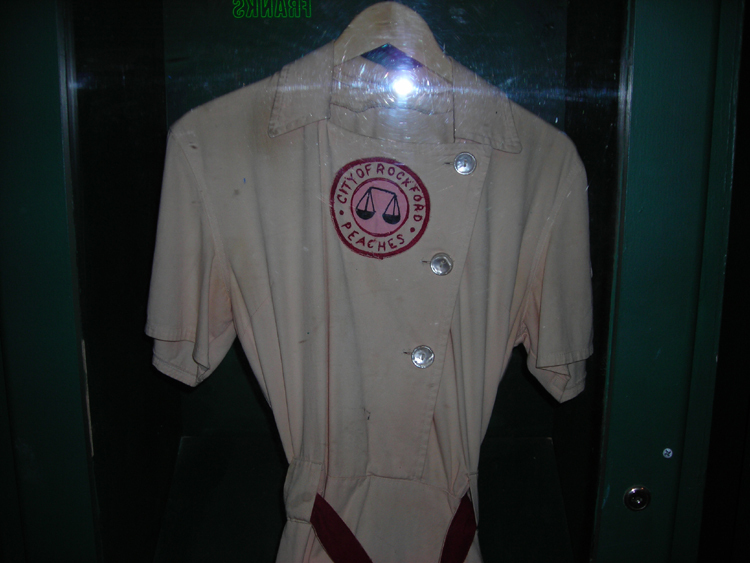 Pete discusses Ty Cobb's temper, his record-breaking hit from the previous day, and the chances of his son beating his hit record (PRJ is 4,254 shy). Pete's appearance on Donahue in Cincinnati is an elite illustration of his overall demeanor while he was still playing his beloved game. The excitement and pride that Pete induced in his home town is irrefutable. As Pete delights the crowd of Cincinnatians, I am reminded of the baseball player that we all grew to love; not the player who now leaves us bewildered. 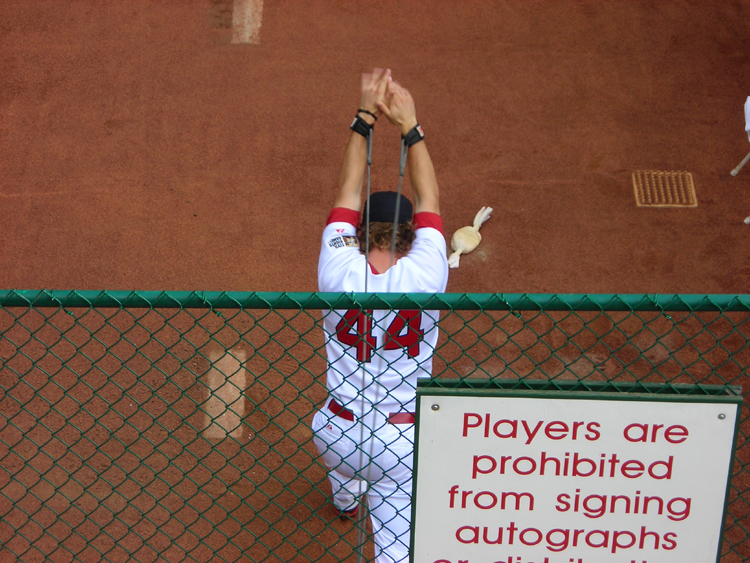 Bronson Arroyo (4-2, 4.85) will face Ross Ohlendorf (0-2, 5.30) and the Pirates at 7:10pm on Wednesday. The Reds and Cardinals both lost on Tuesday and remain tied for first place in the NL Central. After throwing for Bats' trainers on Tuesday, LHP Aroldis Chapman (4-2, 3.98) showed no lingering effects of the blister that caused him to miss his last start. Chapman will return to the mound for the Bats on Thursday against the Gwinnett Braves. 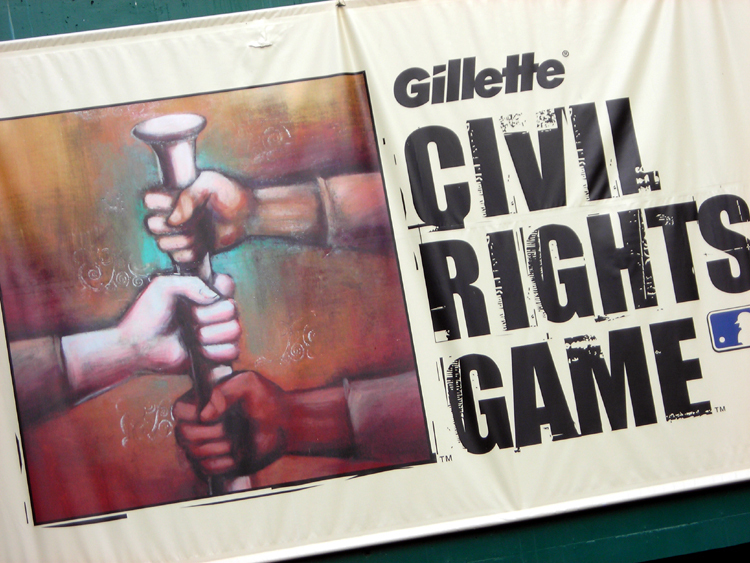 Don't forget to Vote for the 2010 All-Star Game. On Monday, MLB released the current results and they are embarrassing. GO VOTE.......jackass. The Cincinnati Reds defeated the Pittsburg Pirates 7-5 on Monday as they celebrated the 75th Anniversary of the first MLB night game. 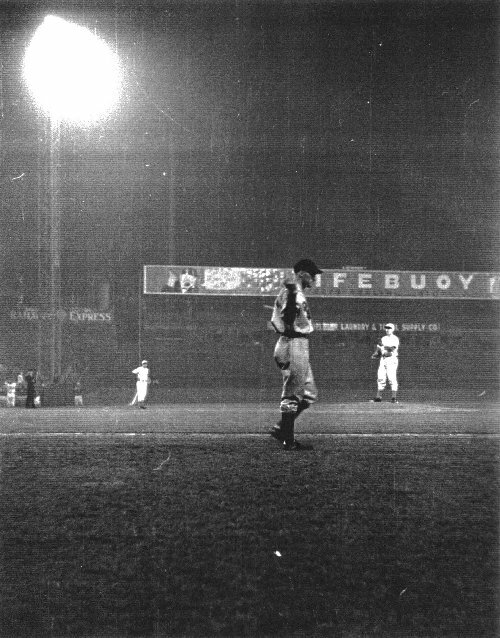 On May 24, 1935, Crosley field in Cincinnati hosted the festivities and introduced playing baseball under lights. The Reds beat the Phillies 2-1. 24 year-old Enerio Del Rosario was called up from AAA on Monday to coincide with the Reds roster move. He will work out of the Reds' bullpen until another move is needed to fill Bailey's spot in the rotation. So far at Louisville, Del Rosario has gone 1-1 with a 1.46 ERA. His electric side-armed action and explosive sinking pitches should intensify the Reds' bullpen. Del Rosario will wear number 58. When Bailey's rotation spot opens up, the Reds have several options at AAA. Aroldis Chapman will not be in consideration after leaving last Wednesday's game with a blister. Chapman aside, the likely candidates from Louisville would be RHP Sam LeCure (5-2, 2.55), LHP Matt Maloney (4-1, 2.72), and RHP Travis Wood (1-4, 4.47). 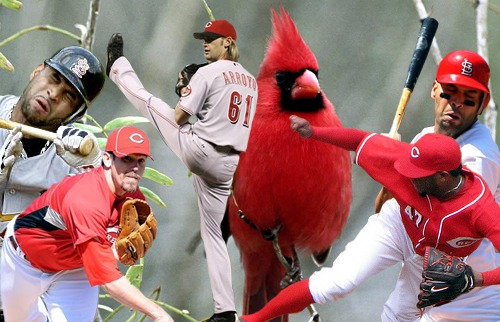 Without Chapman being in the mix, the Reds still have many ample arms at AAA. Their newly found minor league depth will become a huge asset as the long season's eventual injuries occur. 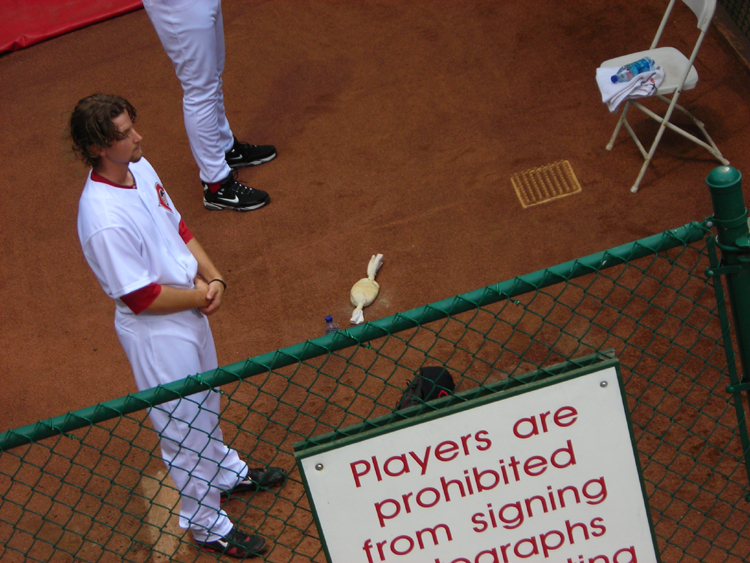 After all of the roster activity between Louisville and Cincinnati is finished, expect AA pitcher Matt Klinkler to settle into the Bats' rotation. Klinkler seems to have proved himself in AA going 4-3 with a 1.63 ERA. Aaron Harang (2-5, 6.02) will face Brian Burres (2-1, 4.91) and the Pirates on Monday at 7:10pm. 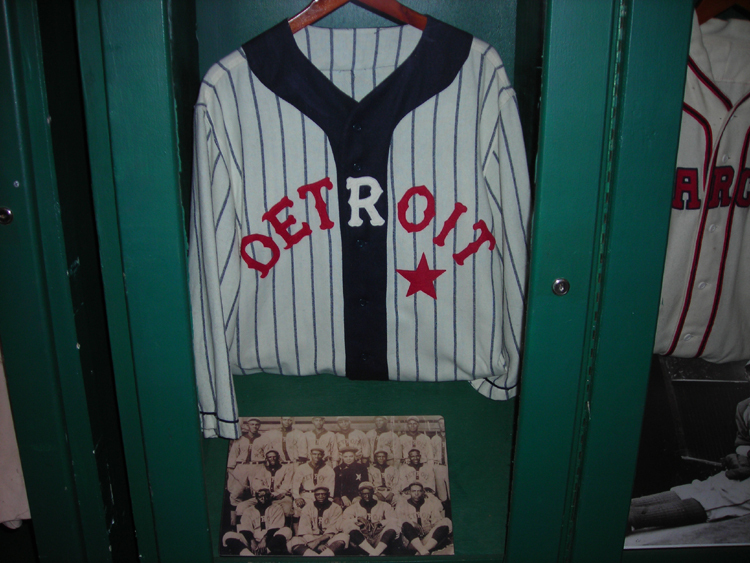 The game will celebrate the 75th anniversary of the first major league night-game. The first place St. Louis Cardinals are off on Monday. The Reds can slide back into first with a victory against the Buccos. THE REDS WENT 2-3 ON THEIR LAST ROAD TRIP, BRIEFLY SAW FIRST PLACE, AND LOST TWO PITCHERS. Starting on Monday, the Reds will play their next seven games at home against two division rivals who reside in the bottom of the NL Central. After facing two aboriginal American teams on their last five-game road trip, the Reds managed only two wins. The Reds were swept in a two-game series by the Atlanta Braves during Wednesday and Thursday of last week. Both games were won by the Braves in the bottom of the ninth inning. The Reds beat the Cleveland Indians on Friday and Saturday, but failed to get it done Sunday afternoon. The Reds and Cardinals have both gone 6-4 during their last ten games and have been passing first place in the NL Central back and forth. 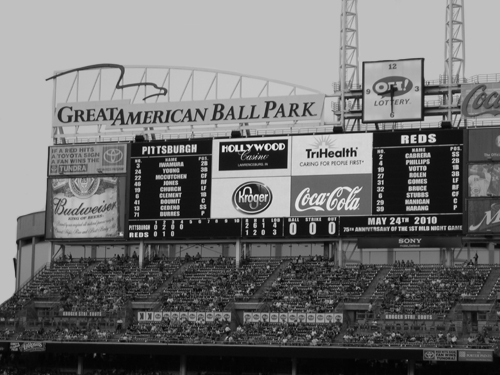 The upcoming home-stand against the Pittsburgh Pirates (19-25) and the Houston Astros (15-29) could be monumental considering how well the Reds have been playing and the mediocrity of their opponents. 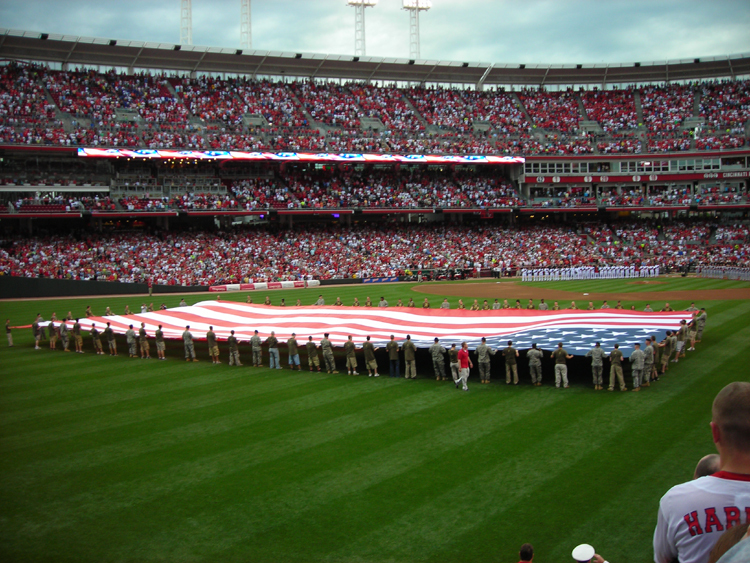 After the Reds' next seven games at GABP, they will travel to St. Louis to face the Cardinals for three games. WEDNESDAY: Aaron Harang looked okay pitching six innings (8H, 4ER) against the Braves. The Reds kept it close until rookie Jason Heyward doubled off Nick Masset to win the game in the ninth inning. Reds lose 5-4. THURSDAY: The Reds took an early 8-0 lead against the Braves and Mike "Godzilla" Leake looked like he would easily receive his fifth win of the season. Reds' relievers allowed six runs in just 2 1/3 innings after Leake left the game. The big blow was a pinch-hit grand slam by Brook Conrad. Francisco Cordero allowed the walk-off homer to Conrad. Laynce Nix nearly saved the four runs as he scaled the outfield wall, but the baseball bounced off his glove and left the park. Reds lose 10-9. Aroldis Chapman pitched for the Bats on Wednesday. Chapman pitched well (5 2/3 innings, 3H, 0ER, 7K), but left the game in the sixth inning because of a blister on his middle finger. FRIDAY: Bronson Arroyo pitched 6 2/3 innings (7H, 4ER, 2K) against the Indians and despite not having his stuff, received run support and a win. 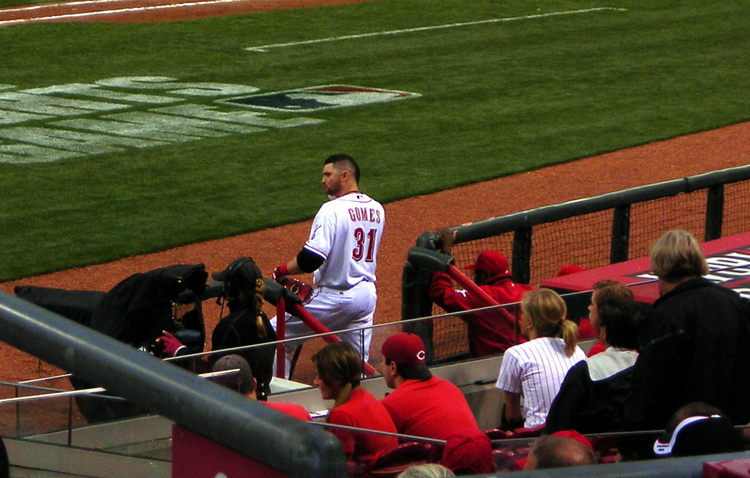 Laynce Nix and Jonny Gomes led the Reds' offense as they both went deep and drove in two runs a piece. Reds win 7-4. SATURDAY: Johnny Cueto pitched six strong innings (4H, 2ER, 5K) against the Indians. Cueto left the game after only 93 pitches with a blister on his index finger. Despite Francisco Cordero's scary two-run ninth, the Reds defeated the Indians 6-4. Laynce Nix hit a home run and drove in two for the second consecutive night. Louisville Bats' Sam LeCure pitched a complete game one-hitter against the Scranton/Wilkes-Barre Yankees. SUNDAY: After pitching 2 1/3 innings (4H, 3ER), Homer Bailey left the game against the Indians with tightness in his right shoulder. Relievers Micah Owings, Danny Herrera, and Carlos Fisher finished the game for the Reds allowing only one run combined. Scott Rolen provided all of the Reds' offense going 2-3 with two home runs and three RBI. Reds lose 4-3. Cueto and Chapman's blisters are considered minor. Cueto will likely make his next start while Chapman shouldn't miss more than one. 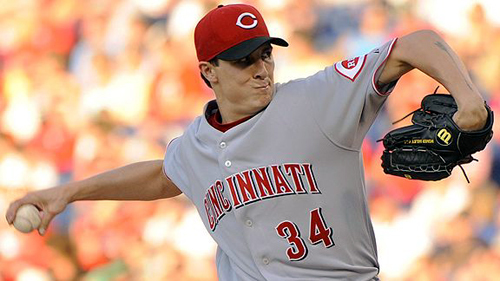 Homer Bailey on the other hand, may go on the DL after he is examined in Cincinnati on Monday by Dr. Tim Kremchek. Growing up in Dayton, Ohio I was always a Reds fan. I was at Pete Rose's "4,192" game when I was only five years old. The electric crowd at Riverfront Stadium that night is one of my earliest memories. I was ten when the Reds won their last World Series. I can recall being allowed to stay up late to watch the games and a sensation of victory I have yet to experience again. I learned many things about the game from following my favorite team, but not everything. 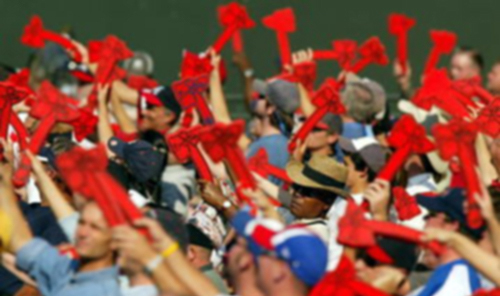 Much of my baseball mentality was instilled by Atlanta Braves enthusiasts. My uncle Tom lived in Woodstock, Georgia and despite the distance between us, we were always close. He was an Atlanta Braves season ticket holder. My grandfather also lived in Woodstock and was a constant companion to my uncle Tom as they rooted for their Braves. I can remember Tom flaunting his new "gear" that the Braves' organization would send him for being such a loyal patron. Knowing my admiration for a team up north, and my aversion to his, he would always make sure I saw his newest attire. I would roll my eyes. Throughout the nineties the Atlanta Braves were constant contenders. My grandfather and Tom never failed to bring it to my attention. At least once a season Tom would visit my family and I in Ohio and we would all head down to Riverfront Stadium. Most of the time, the stay would suspiciously coincide with the Braves being in town. During the game, Tom would spend most of the time attempting to get me to participate in the "tomahawk chop" without avail. Tom could get my ambivalent cousins from Tennessee to join in, and even my susceptible little sister, but not me. No way, no how. It seemed like the Braves beat the Reds every time Tom was at Riverfront Stadium. If there was a Reds victory, I fail to remember it. Tom would always be the loudest guy in our section full of Reds fans. People would look behind them wondering what in the hell Tom was doing there. I also asked myself that question as I would bitterly cross my arms. In the heat of the moment there wasn't a more tried-and-true Braves fan than Tom. No matter what the situation or score, Tom would never leave the game. He would always remind us that there were nine innings and "it's never over 'til it's over" giving us hope that the Reds would somehow come back. Then he would start doing the damn "tomahawk chop" again. 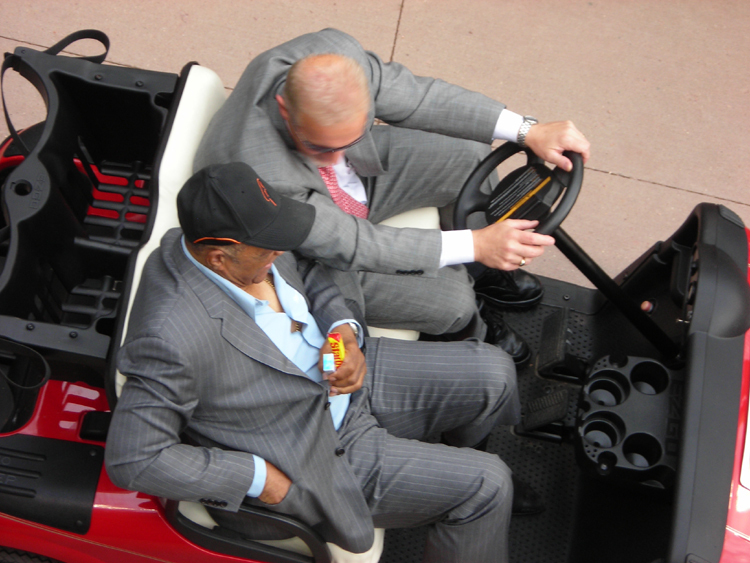 Tom would continue his banter after the game on the way out of Riverfront Stadium. It was embarrassing. Tom would always notice my frustration after the game. He would reassure me that the Reds were a good team and that they might take one from the Braves next time. Always emphasizing that the Braves were the better team, Tom would explain the the lack of importance one game had on such a long season. He would commend my perseverance when it came to the "tomahawk chop" and would always graciously tell me that the Reds would turn it around. Tom passed away in October of 1997. Throughout high school my ailing grandfather spent time living with my family in Dayton. On many occasions, I would burst out of my bedroom after hearing screaming only to find him yelling at the Braves on television. Whether it was Chipper Jones making an error or John Smoltz giving up a homer, his voice would echo through the house with disgust. After Braves wins he would always make sure I heard the score knowing that my Reds had lost that day. He would always want to tell me how good Greg Maddux is or what David Justice did that day. I never wanted to know, but would always listen. When I would mention the Reds, he would pretend to care too. My grandfather passed away in May of 2001. When he died, my mother brought me two things of his that she thought I would want to have. It was a Braves shirt and hat that he often wore. To this day I have never accepted those two pieces of my grandfather's wardrobe. My mother finds it hard to understand, but I know that he would. Tom and my grandfather taught me about loyalty. 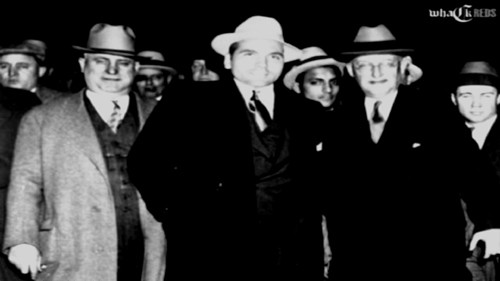 They taught me about integrity, respect, and through their actions showed me how to enjoy success without arrogance. As I heard a crowd of Braves fans chanting behind Marty Brennaman's voice during Thursday's loss, Tom and my grandfather appeared in my head as they always do. I imagined Tom joining in on the "tomahawk chop" during the Brave's ninth inning comeback and could hear my grandfather's joyful screams when Brooks Conrad hit a walk-off grand slam. Wherever they are, I know one thing for sure; they were ecstatic. JOEY VOTTO, ALONG WITH HIS FELLOW CINCINNATI REDS, ARE NOTHING SHORT OF "GANGSTER"
Reds' first baseman Joey Votto was asked by manager Dusty Baker if he wanted to take Tuesday afternoon off after Monday's night game. Votto said no. Baker decided to rest third baseman Scott Rolen instead and the results were impeccable. 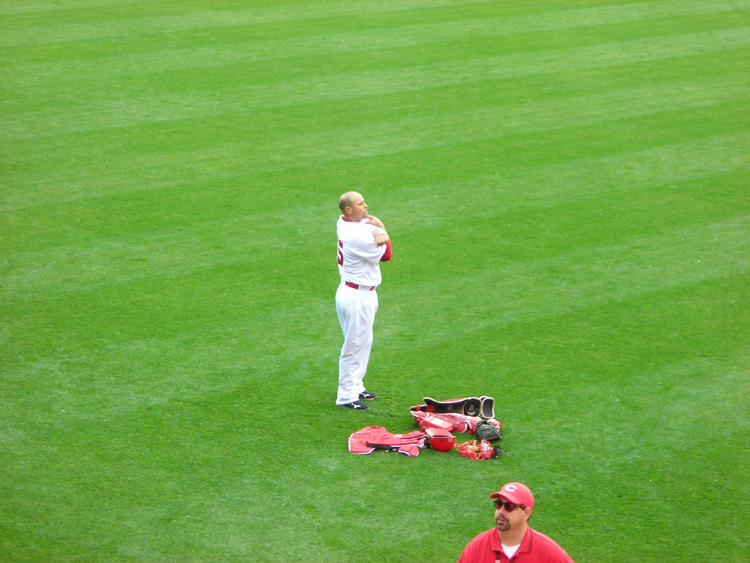 Rolen provided the Reds with a two-run pinch-hit homer that tied the game in the ninth inning. Votto went 3-5 with a 460-foot homer and the game-winning RBI single. "I want to play every single day," Votto said. "I don't want to be out of the lineup, ever. I think I can speak for every single person in this locker room and they feel the exact same way. Everybody wants to play every single day." Homer Bailey started for the Reds on Tuesday and after a two-run first, pitched concrete. Bailey's next six innings of work consisted of only one Brewer hit allowed in the seventh. After Bailey left the game the Reds' bullpen (Mike Lincoln) struggled allowing two more Brewer runs, placing the Reds behind 4-2. "It wasn’t a matter of: Are we going to come back? It was: It’s going to happen," said an intrepid Bailey. "We have that much confidence right now. It doesn’t matter who we’re playing. We have a lot of confidence in our lineup and in our pitching. Right now, the way we’re playing as a team is pretty remarkable. We expect every game that we’re going to win." Homer Bailey was right. Down two runs in the bottom of the ninth inning, the tenacious Reds managed to win their tenth game in their final at-bat this season. The Brewers sent Trevor Hoffman to the mound in the bottom of the ninth. It was Hoffman's first save situation since May 5, and maybe his last. 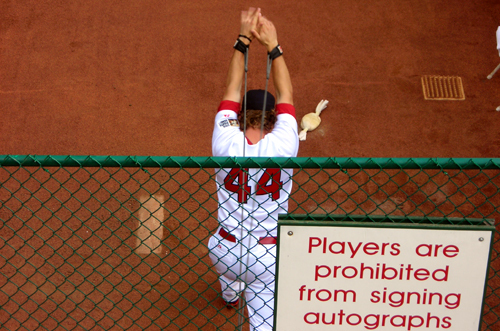 Hoffman allowed a Paul Janish single, followed by a pinch-hit homerun by Scott Rolen, knotting the score at four. Chris "Vicious" Heisey then doubled to left and Brandon Phillips drew a walk. Joey "Capone" Votto then came to plate and drove Hoffman's first pitch to the wall in centerfield. Chris Heisey scored easily without a throw and the Reds won their fourth game in a row, 5-4. 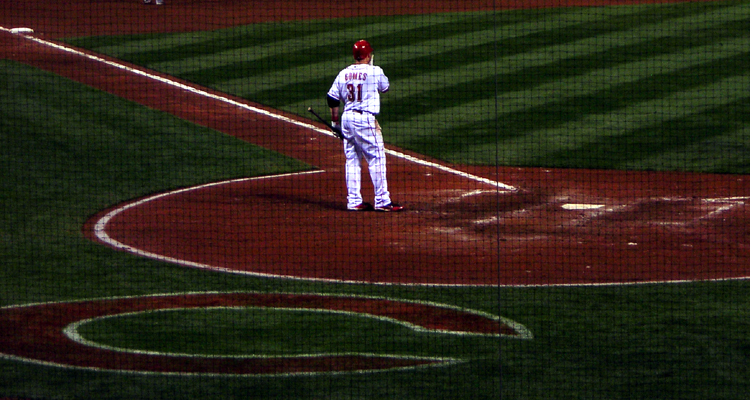 "We’re playing good baseball," said Rolen after the game. "We’re making good pitches. We’re taking good swings. We’re putting together good at-bats. You call it whatever you want to call it. But it’s a good team, good players, playing good baseball." The steadfast Reds will send Aaron Harang (2-5, 6.02) to the mound on Wednesday to face Kenshin Kawakami (0-6, 5.79) and the Atlanta Braves at 7:10pm. Aroldis Chapman (3-2, 4.63) will make his eighth start of the season for the Louisville Bats on Wednesday. Chapman will be facing Leigh Valley at 7:05pm and will attempt to rebound from his last outing when he allowed eight runs in just 3 1/3 innings. 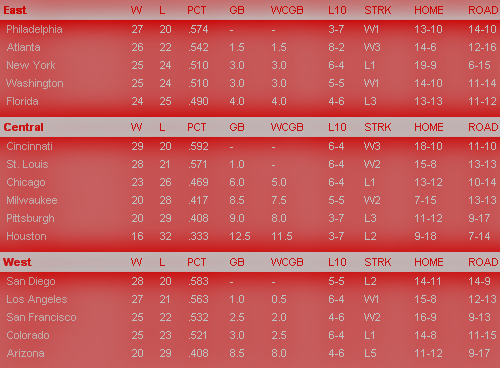 Don't forget to check out our other "whackgrounds"
The Cincinnati Reds are currently playing along to their first-place status. The Reds 6-3 victory over the Milwakee Brewers on Monday marked their fifteenth win in the past twenty games. Johnny Cueto faced Brewer's ace Yovani Gallardo on Monday. Cueto went seven solid innings for the Reds allowing one run on seven hits while striking out seven. Gallardo held the Reds to one hit through five innings. He left the game after six innings allowing only one run on four Reds' hits. Former Red Todd Coffey relieved Gallardo in the seventh and the Reds' offense exploded scoring five runs. Chris "Vicious" Heisey led off the seventh with a pinch-hit triple. Orlando Cabrera, Brandon Phillips, and Joey Votto all followed with singles making the score 3-1, but Phillips was caught in a run-down after Votto's hit. With one out and two runs already in, the Brewers elected to intentionally walk Jay Bruce to instead face Jonny Gomes. The decision was a poor one. Gomes crushed Todd Coffey's first pitch to deep centerfield for a three-run homer. Obviously annoyed, Todd Coffey's next pitch hit Drew Stubbs in the back. Both benches were then warned by the umpires, but the Reds were not planning retaliation. The Reds signed Cuban defector Felix Perez on Monday. The 25-year-old left-handed outfielder received a $550,000 signing bonus and will most likely begin his American career in Dayton or Lynchburg. Also, one last observation of the day. Reds.com seems to be "short-circuiting" when it comes to using unique headlines. Weak. The Reds remain in first place 1/2 a game ahead of the St. Louis Cardinals in the NL Central. Homer Bailey (1-2, 5.66) will face Manny Parra (0-2, 3.98) and the Brewers at 12:35pm on Tuesday. "WE HAVE A LONG WAY TO GO." 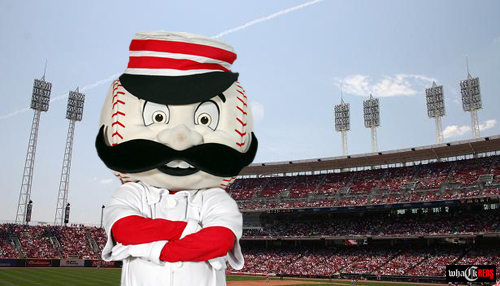 The Cincinnati Reds entered their series against the St. Louis Cardinals just a 1/2 game behind them in the NL Central. Despite a ninth inning effort, Aaron Harang and the Reds were defeated 4-3 by the Cardinals on Friday stretching the distance from first to 1 1/2 games. 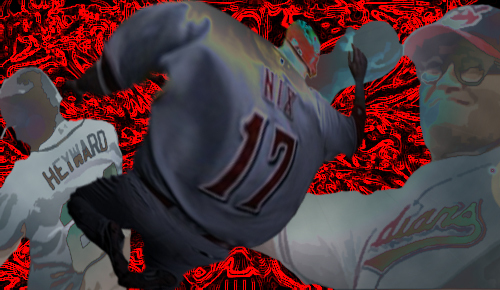 Over the next two days, Mike "Godzilla" Leake and Bronson Arroyo led the Reds to back-to-back victories and placed their team at the top of the NL Central. 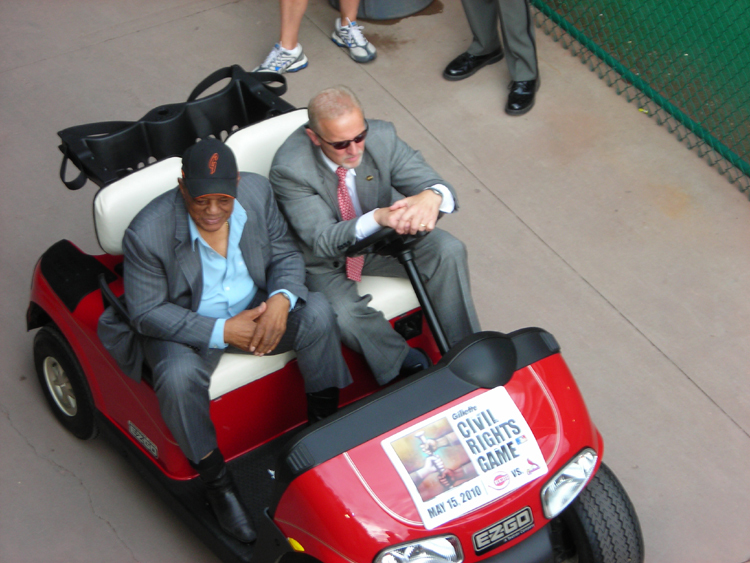 After being caged and shackled (pictured above) prior to the game, Mike "Godzilla" Leake was released just before the first pitch of the 2010 Civil Rights Game on Saturday against the St. Louis Cardinals. Leake threw six innings, allowed only two runs on four hits, and received his fourth win of the season as the Reds beat the Cardinals 4-3. "We have the potential to have a quality start every outing. 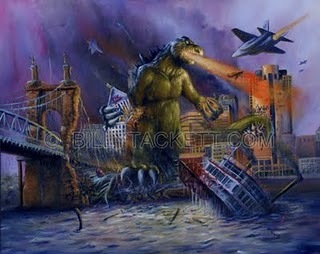 That's how good our pitching staff is," Leake said through an interpreter who speaks Godzillanese. "(The atmosphere) was a little preview of what it would be like (to be in the postseason)." 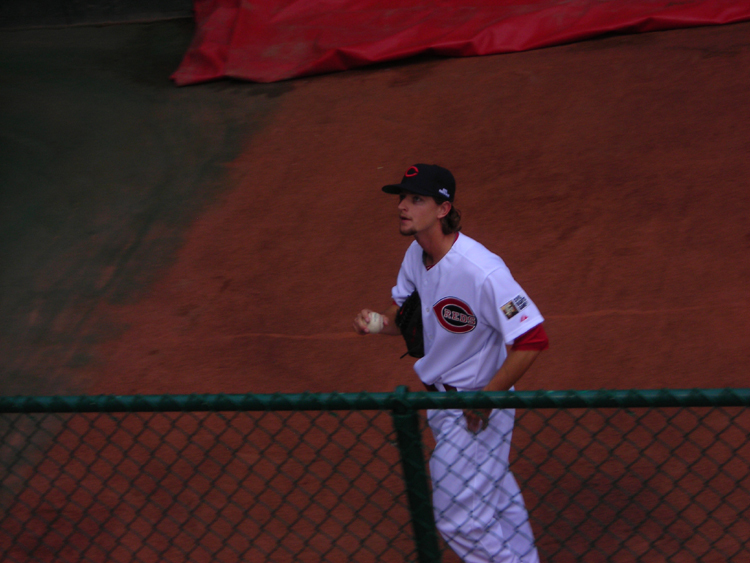 With first place on the line, the Reds gave the ball to Bronson Arroyo on Sunday. 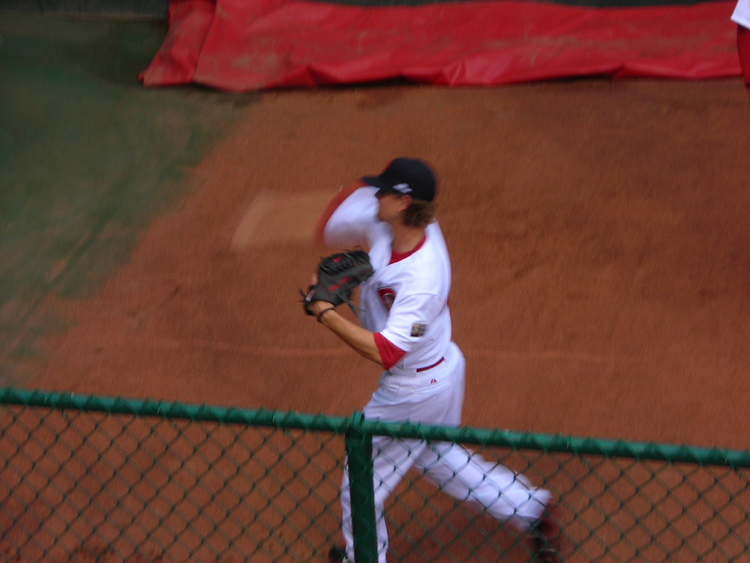 Arroyo pitched his first complete game of the season allowing two runs on seven hits. Arroyo threw the Reds' third complete game in the past five as the Reds defeated the Cardinals 7-2. Reds' starters are 7-1 with a 1.88 ERA during their last eight games while the Reds' offense is hitting .297 over the past twelve games. "There's definitely some exciting things happening around here," said Arroyo. "If you can push it into June or July, that's when you open up some eyes and let people know this team's for real." 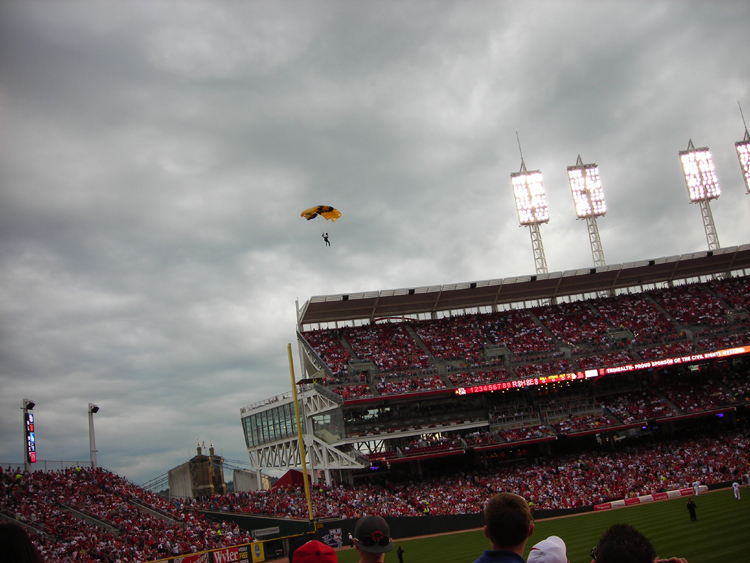 The last time the Reds were the sole owners of first place was on April 17, 2007. "We have a long way to go. We're not going to the playoffs today. But I'd rather be in this position than the position we've been in the past," said Reds' manager Dusty Baker. "We just have to go play. If we keep getting good pitching, good defense and timely hitting, we'll see where it takes us. You have to enjoy the moment as well and not worry about where we've been three years ago or where we might be two weeks from now. There's nothing you can control except now." Whack Reds attended the 2010 CRG and took a few photos. 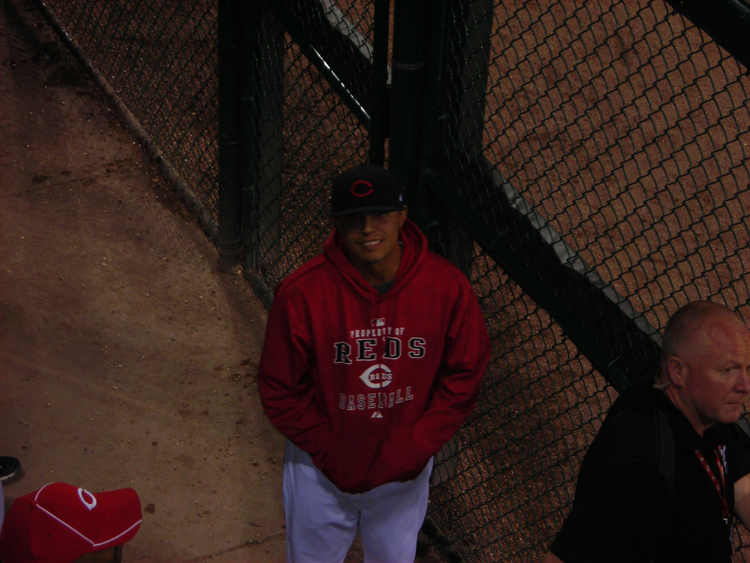 We sat in section 101 next to the Reds' bullpen. Please excuse our obsession with Mike "Godzilla" Leake. 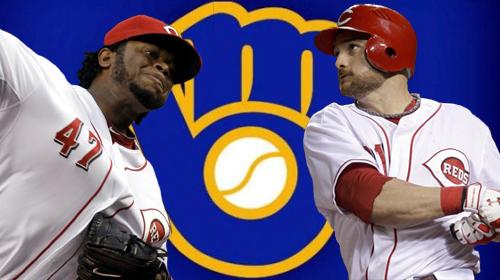 Next up for the Reds are the Milwaukee Brewers. Johnny Cueto (2-1, 4.07) will face Yovani Gallardo (4-2, 3.06) on Monday at 7:10 pm.